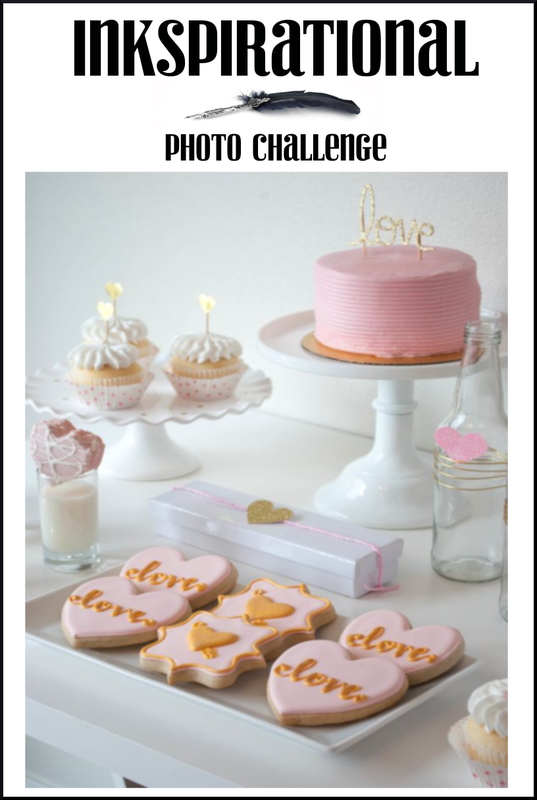 I am pleased to be hosting the new Feminine “Anything Goes” Challenge over at Watercooler Wednesday Challenge blog this week! I’m looking forward to seeing what you create this week! 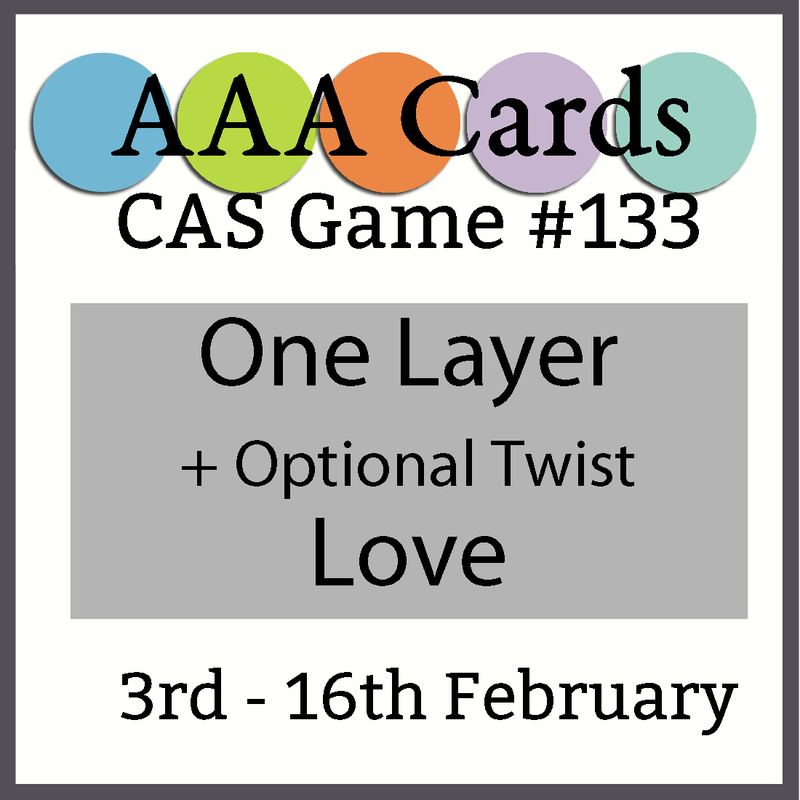 This week I decided to go for something a little different and make another CAS card this week! I started with heat embossing the tiered cake stand from Papermania’s Lucy Cromwell – Bunting Stamps with Rose Gold embossing powder from Lawn Fawn! A real oldie but still one of my go to sets! Lovely clear images and the embossing is so pretty! After watercolouring with Distress Inks, I used Rose Gold embossing powder to add sentiments from Honey Bee – Love You set and SSS – Best Hugs stamp set. With the SSS Frames die, I cut a thin scalloped die around the main panel. This was also heat embossed in rose gold before attaching it back around the inside section and over a folded card to make a one layer card! Thanks so much for visiting! I hope you will head over the our blog to check out more inspiration form out talented Design Team. Such a beautiful and feminine CAS card. The rose gold heat embossing looks so pretty and what a fabulous stamped image. Thank you for the fabulous inspiration x. How very elegant Helen, the gold embossed image was genius! Wow Helen this is beautiful. Such soft colours with that gold embossing. Lovely card. Love how you placed the cake stand in one corner. Neat and elegant. Really sweet! So beautiful cas card! Those tiers of sweet treats look really yummy. Love all the pinks too. 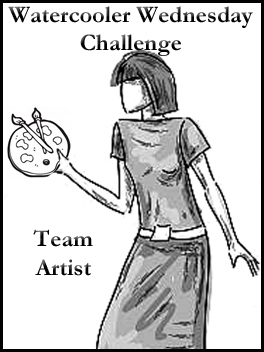 Thanks for playing at AAA Cards & Uniko, hope to see you joining in with future challenges. Sending sweets is always good and the card brings the sweets with no calories. Lovely card. So glad you joined us at Die Cut Divas. Elegant and feminine, love the gold embossing. Awesome card, Thank you for joining at Addicted to Stamps and More and waiting to see next time. Wow, what a stunning card! Love everything about it – the frame, the image, the colours! Gorgeous! Thanks for playing along with us at AAA Cards! Gold and Pink .. one of my many favorite color combos. Thanks for playing at Brown Sugar Challenge. I wish you the best of luck in the challenge. Next Next post: 21 – Celebrate!